The Esala Nauga-coached BLK Nadroga side will need to play by the rules of the game against Cloud9 Malolo in the Skipper Cup Premiership at Lawaqa Park in Sigatoka tomorrow. Suva u-20 first-five eight Pita Katalau scores a try against Naitasiri at Naluwai ground on May 26,2018. Photo: Simione Haravanua. In previous encounters Malolo have always brought their best against the Stallions. 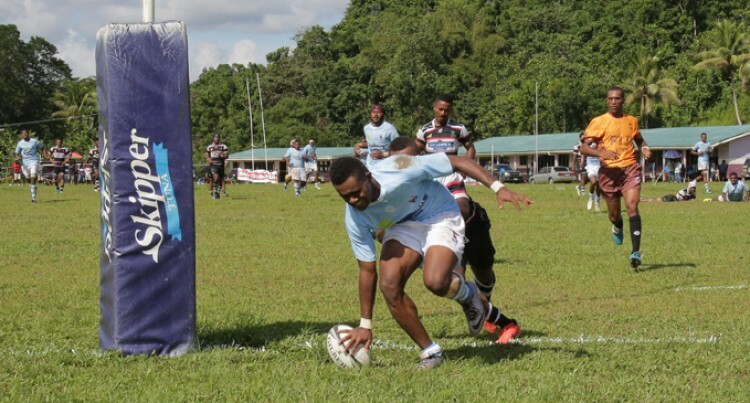 Nadroga rugby captain Rupeni Nasiga said they remain positive of hosting a home semifinal and defending the title. “We should bounce back after the defeat to Namosi last week,” he said. “We also need to beef up our defence. “Namosi showed cracks in our game and we can only get better if we learn from our mistakes. The side will be banking on blindside flanker Josefa Namalo, prop Setefano Somoca, Tuiba Batiratu, fullback Josese Kurokavu and electrifying flanker Sevuloni Tawake to lead the charge for the side. In other matches, QAQA Namosi will host Jack’s Nadi at the Thomson Park, Navua. Rewa to host Noqu Suva at Burebasaga and Warwick Navosa to host QAQA Naitasiri at Lawaqa Park, in Sigatoka. All matches kick off at 3pm.